Have you always wanted to be a farmer but you think you can’t because you live in the city? Have you ever thought you would like to grow your own food but you think your backyard is too small to try vegetable farming? Well, think again! Even if you think your backyard is small, it’s likely that you can figure out a way to grow some tasty vegetables to put on your table! How To Get Started Farming In Your Backyard. 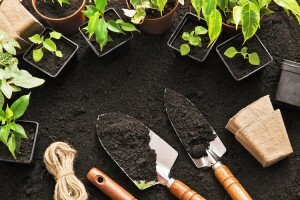 Turn Your Backyard Into A Farming Business. Before you break into a particularly niche vegetable farming market, it’s critical to understand who your competition will be and if the market can withstand both of you. In a larger community, you may simply be able to show up at a Farmers’ Market to sell your wares (although you’ll likely have to pay a table fee). Smaller communities often rely on relationships and it’s important that you understand, from a business perspective, the existing demand as well as who is supplying it. Ask around town to find out—growers are usually pretty friendly and willing to share information. This is one of the reasons you should start small. Vegetable farming can be risky and you want to know what you are doing before you invest multiple thousands of dollars on something you haven’t yet tried. Once you’ve begun with just a couple of vegetables (paying for seeds and other equipment up front), then you can feel confident to move forward and expand, reinvesting the money you made on your first crops. Systems such as Seed to Cash can get you started for less than $70. Don’t forget that an expert is anyone who knows something you don’t! As mentioned earlier, growers are often very friendly people who love what they do and are willing to share their passion. If you don’t know any local growers or are tired of lurking around at the Farmers’ Market, get connected with an online forum such as the one Seed to Cash provides to its growers. You’ll have access to expertise and you’ll be able to learn from other people’s mistakes. Choose vegetables to grow that provide you with a quick, quality crop in a short amount of time. Some of the favorite easy to grow vegetables are leafy greens such as lettuce and basil, or root vegetables such as carrots. Once you’ve mastered the simple veggies, then plan to move on to more complicated plants. Whether you put your crops on your own table to feed to your family, or you sell them to others to feed their families, vegetable farming is an excellent way to provide sustainable, locally grown food. And when you use a system such as Seed to Cash, you’ll get everything you need to start and you’ll have the opportunity to make a profit in as little as two weeks! So what’s stopping you?